Jia-Chen “Wendy” Fu is an Assistant Professor at the Department of Russian and East Asian Languages and Cultures at Emory University. 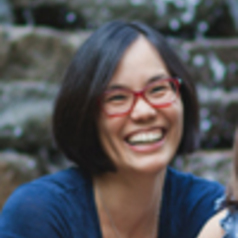 After receiving her M.Phil and Ph.D. in History from Yale University, Wendy was a postdoctoral fellow at the Center for Chinese Studies at the University of California at Berkeley (2009-2010) and then Assistant Professor in the History Department of Case Western Reserve University (Cleveland, OH). Her primary research focuses on how new scientific disciplines and practices shaped conceptions of the Chinese physical body and diet. Her book, The Other Milk: Soy, Science, and Sovereignty in Modern China, explores the curious paths through the conception of the Chinese diet as a deficient one led to the reinterpretation, rediscovery, and reassignment of social and scientific meanings of a local foodstuff, the soybean, in twentieth century China and will be published by the University of Washington Press. Her teaching interests include modern Chinese history, science and society in modern China, history of the body, food and culture, and East Asian martial arts.